"There was no likelihood of being able to successfully save the remaining whale. Sadly, the decision was made to euthanise. 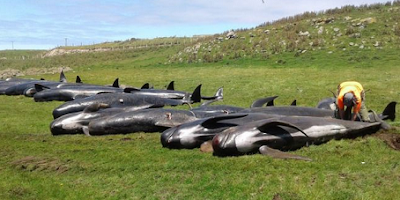 It was the most humane thing to do," said DOC's Chatham Islands Operations Manager, Dave Carlton. "This is always an awful decision to have to make."